When Will My Loved One Make An Amends To Me? We can hold a lot of expectations of our loved ones in recovery. We want to know when they’re going to change, we want to know they’re never going to go back to the way they used to be, and we want to know when they’ll finally apologize for all the damage they did in our lives. When our loved one starts attending twelve step groups, we do some research. Most of it seems great. Powerlessness, surrender, moral inventory…then we see it. “Made direct amends to such people whenever possible except when to do so would injure them or others.” Our hearts light up and our egos flare. One day, we’re going to get what we deserve- an apology. First, you have to understand that an amends is different from an apology. An apology includes excuses and justifications in just a simple statement. Apologies are communication that a wrong was done, and all the reasons that wrong was done. Most often, we don’t want to hear an apology. We don’t want the excuses and justifications. In our hearts, we know they were doing their best and if they could have, they would have done better; but, they didn’t. 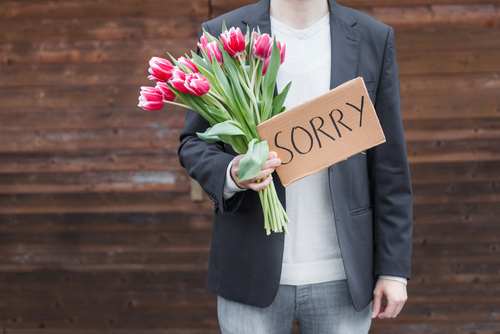 Often, apologies are followed with a statement by the person receiving the apology which looks something like “Actions speak louder than words.” Therein lies the difference between an apology and an amends. Apologies are just words. An amends is about action. To make an amends means to right a wrong, not just explain why the wrong happened and ask for forgiveness. In an amends situation, the person making an amends asks what they can do to make up for the harm they have caused toward you. Amends take time. Your loved one has to go through a process of coming to a place of humility to realize that they need to make an amends to someone. Sometimes, this process is easier said than done. However, many working the twelve steps quickly realize that a sitting amends is just a sitting resentment. It’s best to do it and close the chapter. Have patience for your loved one and continue to support their endeavours in recovery. Hired Power offers recovery services to help take care of the details and planning while you work hard to take care of yourself. Together, we’re bringing recovery home. For more information, call us today at 1-800-910-9299.